Are you a Soldier Field or a Chicago Bears fan? Do you know someone who is? 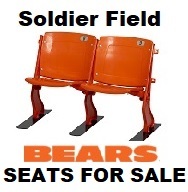 Own a piece of certified authentic Soldier Field Memorabilia! 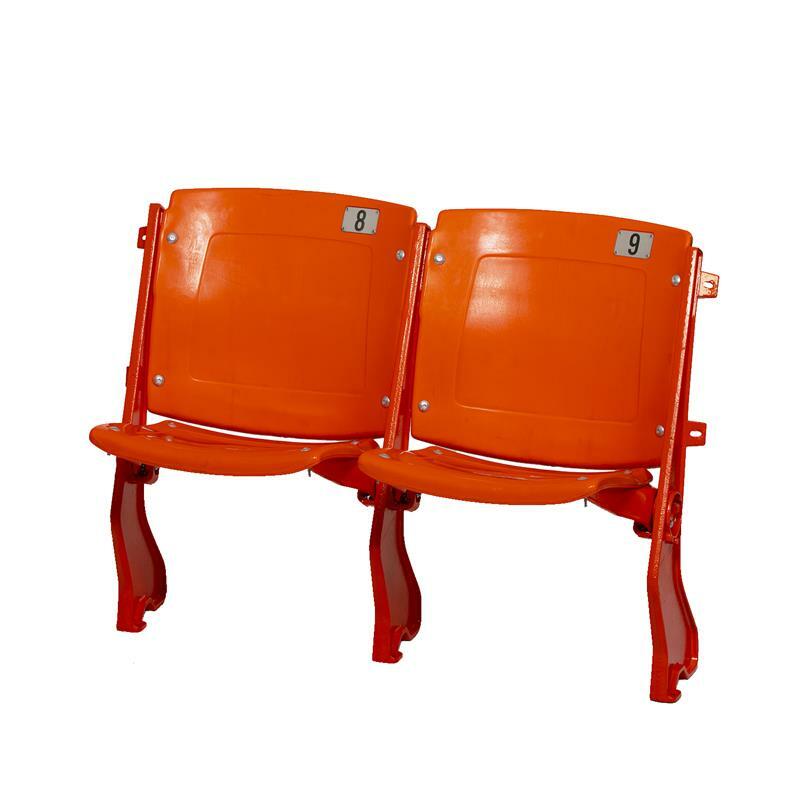 What you are buying is a orange pair (set of 2) of authentic stadium seats from the home of the Chicago Bears: Soldier Field. 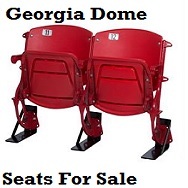 These seats have been in the legendary Stadium since 1970's which means they have seen a lot of Football action in the 40 plus years they were in there. 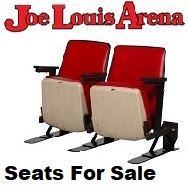 These seats were removed in early 2000's and have been in storage ever since. These seats are Floor-mount seats. 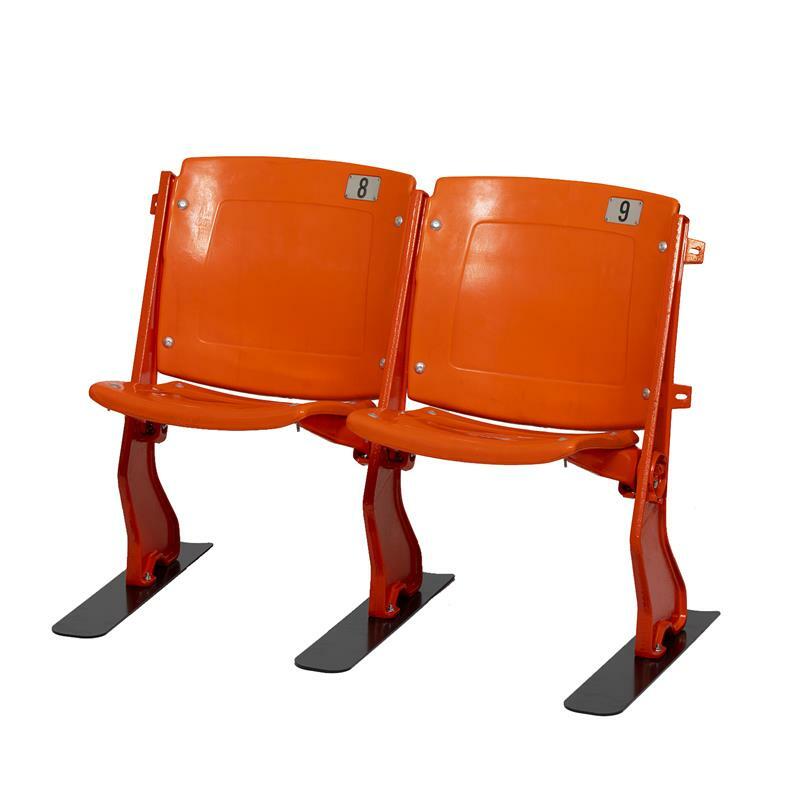 Our seats come with our patented Seat Feet floor stands which are designed to make the seats portable, stable and safe for sitting without the need to bolt to the floor. The seats have been in storage in our warehouse in Indiana since shortly after being removed from the stadium and are in restored, refurbished condition...the seats and backs have been cleaned and are in excellent condition, and the metal standards (seat frames) have been sandblasted and repainted (powder Coated) to there original color. 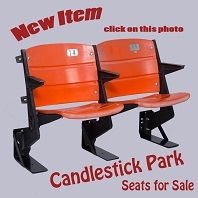 All seats are in perfect working order and look new! PLEASE NOTE: We have multiple sets available...the ones pictured are not the exact seats but will be similar and are a good representation of the condition of the seats. We will not be able to provide pictures of the exact seats you will receive, as they are already boxed up and ready to ship. We do NOT have Aisle seats available at this time. MEASUREMENTS: The width of a pair of seats ranges from 40" to 43". The depth of the seats is approximately 16" with the seat up and 22" with the seat down. 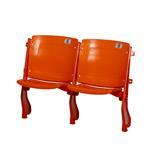 Stadium Seat Depot, Inc. is the company that acquired the stadium seats and all of our seats are guaranteed authentic. Ships partially unassembled to prevent shipping damage. Assembly is easy. 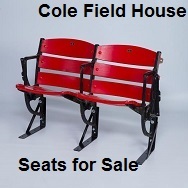 Seats will be shipped with metal Seat Feet that are powder coated black. 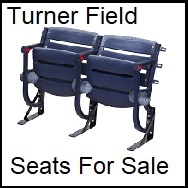 Seats will be SHIPPED FREE via FedEx Ground. For shipping outside of the continental USA, please contact us for additional shipping costs. Seats are shipped partially unassembled in our customized boxes via FedEx Ground service. In the very rare case of shipping damage, we do send repair and/or replacement components. We do require digital pictures of each damaged piece emailed to us. The following damage claim time-limit is in place: 14 days from delivery. 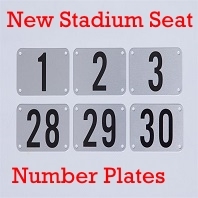 Since 2006, Stadium Seat Depot, Inc. has specialized in the extraction and distribution of memorabilia stadium seats from professional sports stadiums around the country. Family owned and operated, your satisfaction is our top priority.